In the future, the police have lost control to the mighty gangs who now rule the streets. Where crime is king, the authorities put their trust in hired guns to solve the problem. A price is set on the gang leaders´ heads. It´s time for the Bounty Hunters — It´s time to hunt ´em down. 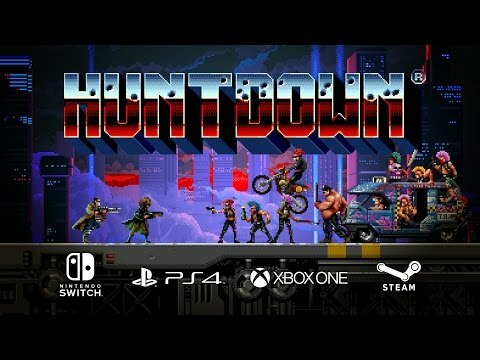 The Huntdown release date is to be announced on Linux, Mac, PC, PS4, Switch, Xbox One. Notify me when Huntdown is available.